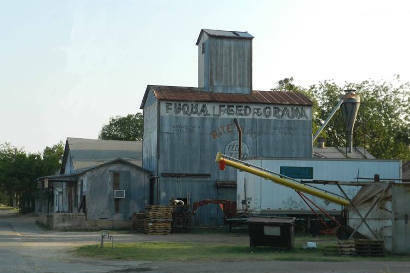 Feed & Grain. A former gin? In 1801, long before Independence, Phillip Nolan, an American horse-trader, was killed near here. 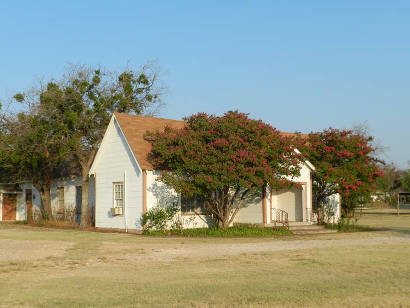 Nolan had made several forays into Spanish Texas to capture wild horses. 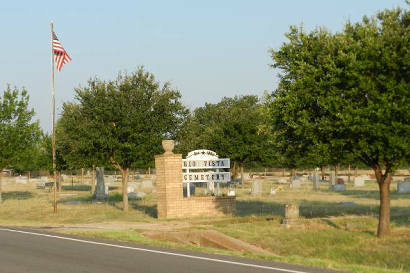 A marker three miles south of town on highway 174 commemorates the event. Nearby Nolan River was named after him. 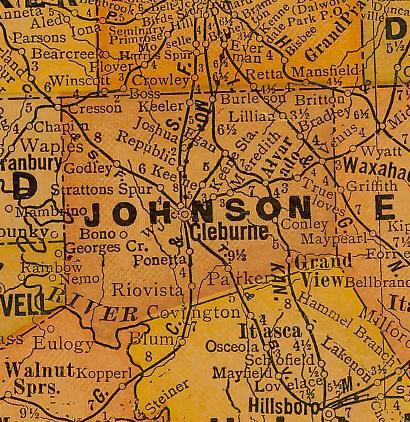 Anadarco Indians occupied the area during the 1830s and discouraged settlement until 1849 when Henry Briden, his wife and father-in-law came into the area and built the first cabin in Johnson County. 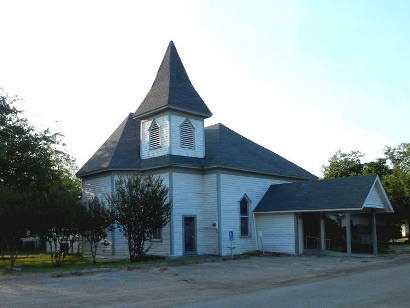 First known as Grange Hall, and then Kimbell, the town was bypassed by the Gulf, Colorado and Santa Fe Railroad who planed to lay their rails a mile east. 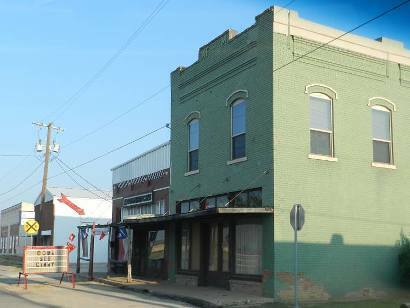 As Rio Vista, the new town drained the populations of the nearby hamlets of Derden, Nathan, Hart, and Sullivan. 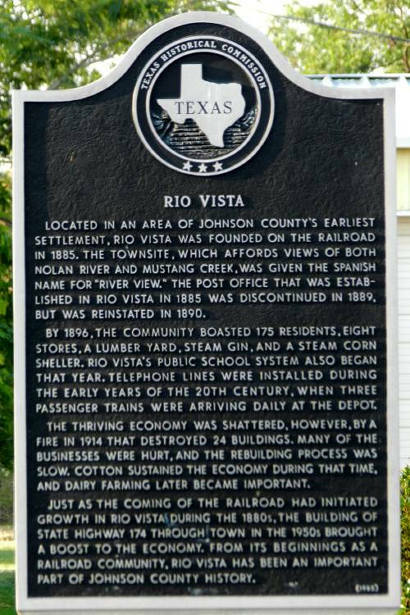 By 1900 Rio Vista had all the commercial components to make a town thrive, but a fire in 1914 destroyed many of the businesses. 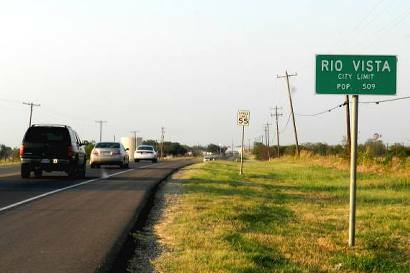 State Highway 174 was rerouted in the mid-1950s and it gave Rio Vista an economic shot in the arm. 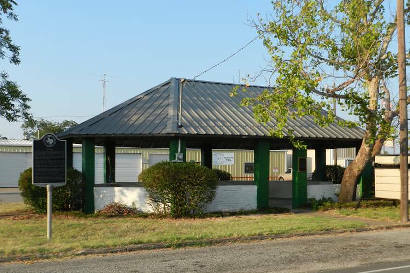 The population was just 541 for the 1990 census, which grew to 656 for 2000.